Around 2005-2006, blogging starting moving to a more commercial bent. And social media expanded to include social news sites like Digg and Delicious. Once Facebook and Twitter showed up, the landscape changed dramatically. At Copyblogger, we started covering the networks as valuable channels for distributing content, and one of the more popular writers on the topic for us was Michael Stelzner. So, the day Mike came to me with the idea for Social Media Examiner wondering if I thought it would work, I got to make an easy prediction. I thought his idea for bringing Copyblogger-style high-quality content to a new site dedicated completely to social media marketing was a home run. This episode is brought to you by the all new Freshbooks, easy accounting software for freelancers and small businesses. Sign up for an unrestricted 30-day free trial exclusively for listeners of the show by clicking here and entering Unemployable in the How Did You Hear About Us section. I enjoy being right, but Mike was the true beneficiary of that call. Social Media Examiner fueled a profitable business built around virtual business conferences, and now the massive Social Media Marketing World live event that happens every March. Understanding and using social media is a crucial part of my job. But whenever I need to get a more granular view of recent developments, I always turn to Mike. So why not listen in as I grill him on the latest and greatest about Twitter, Facebook, Instagram, and Snapchat? Michael Stelzner: I’m Mike Stelzner. I’m your trail guide to the ever-changing social media jungle, and I’m Unemployable. Back in the early 2000s, social media was a very different thing. The term came out of the Web 2.0 movement, and the primary components were blogs. Around 2005-2006, blogging started moving to a more commercial bent and social media expanded to include social news sites like Digg and Delicious. Once Facebook and Twitter showed up, the landscape changed dramatically. At Copyblogger, we started covering the networks as valuable channels for distributing content, and one of the more popular writers on the topic for us was a guy named Michael Stelzner. The day Mike came to me with the idea for Social Media Examiner, wondering if I thought it would work, I got to make an easy prediction. I thought his idea for bringing Copyblogger-style high-quality content to a news site dedicated completely to social media marketing was a home run. I enjoy being right, but Mike was the true beneficiary of that call. Social Media Examiner fueled a profitable business built around virtual business conferences and now the massive Social Media Marketing World Live Event that happens every March. 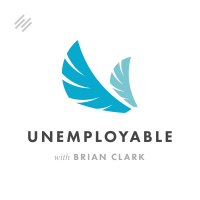 This is Brian Clark, and you’re listening to Unemployable, the show that provides valuable strategies and tactics to smart, independent business people like you. This episode is brought to you by the all-new FreshBooks, easy accounting software for freelancers and small businesses. Sign up for an unrestricted, 30-day, free trial exclusively for listeners of the show by heading over to FreshBooks.com/Unemployable. Don’t forget to enter Unemployable in the “How did you hear about us?” section. Understanding and using social media, it’s a crucial part of my job. But whenever I need to get a more granular view of recent developments, I always turn to Mike. Why not listen in as I grill him on the latest and greatest about Twitter, Facebook, Instagram and Snapchat? Mike, how are you my good friend? Michael Stelzner: I’m doing well. It’s great to talk to you. It’s been a little while. Brian Clark: Everybody’s been busy, you know. Michael Stelzner: I hear you. If you don’t mind, I’m going to throw a platform at you and then get Mike’s thoughts on maybe where it’s come from and where it’s going. Top of mind for me is Twitter. Twitter used to be a place to share content, make jokes, get news — breaking news especially — and now it’s becoming a source of news with the current administration and whatnot. That’s an interesting thing, because you would think Twitter is thriving, but its user base continues to decline. They’re not attracting people. I saw Jay Baer predict they’re going to be out of business within the near future. What are your thoughts on Twitter? Michael Stelzner: It’s interesting. In the last year, they reclassified in the iOS store from social network to news and they’re now in the news category, which is an interesting perspective on how they see themselves. I think that in the early days — you might have been around for a while — Twitter was an amazingly powerful way to drive traffic. But Twitter has, in the last 12 months or so, introduced an algorithm much like Facebook has. The struggle that is happening for so many publishers is they’re just not getting the traffic that they used to get from Twitter anymore. It used to be a stream. This is the phrase everybody used. It was all about getting your Tweet into the stream at the moment when the people were on Twitter. Now that’s completely fundamentally changed for so many different reasons. For example, in the last two weeks, as of this recording, Twitter released that its artificial intelligence algorithms — and it did acquire an AI company — are smart enough to know if there’s certain people on Twitter that you really engage with, follow, and like their stuff. When you log into the Twitter app, it will actually show you Tweets from that person that it thinks you care about. Notice the whole time-shifting thing is completely eliminated now. It does take a lot of the strategy that so many of us have used for so long, which is constantly re-sharing the same content, and throws it completely out the window. At Social Media Examiner, back in November we instigated a Never Share It More Than Once policy on Twitter. We never share anything more than once. Ever. Brian Clark: Seriously? That’s amazing, because otherwise your Tweet’s going nowhere. Michael Stelzner: Well, that’s what you would think, but that’s not true anymore. The algorithm basically floats up the most popular, most engaged, most shared Tweets to those who follow. Actually, those that are consistently Retweeting over and over again, all they’re doing is telling Twitter, “Hey, Twitter’s smart enough to know that you’ve already Tweeted this thing.” What they’re doing is they’re taking all of that engagement and splitting it across many Tweets so that none of them perform very well. In the end, you don’t get the exposure that you used to get. We just made the decision internally that we’re just not going to do it anymore. We already have seen our traffic dropping dramatically. So many people I’ve spoken to have said the exact same thing. We need to understand — what is Twitter saying that they are? They’re a news company. What’s the first three letters in the word news, Brian? New. They want new stuff. They don’t want the old stuff. The old way of doing things isn’t working anymore. Now, at the same time, Twitter is still very powerful for all sorts of marketers. Like during the Super Bowl, which we both watched yesterday, Tide did an amazing job gaming the system and creating a commercial that seemed like it was live and showing one of the sports guys with a stain on his shirt. It trended globally on Twitter and then they made a commercial about it. It was brilliantly done. I still think that the hashtag is important. I still think, at events, Twitter matters. I still think for reaching out randomly and making connections with people, you still can’t beat Twitter. Engaging, customer support, all that matters, but driving traffic is harder than ever with Twitter. Michael Stelzner: Your Tweets, yeah. Michael Stelzner: I’ll tell you, I think they’re all in trouble. I think they’re going to have to change their business model. There’s nothing wrong with scheduling, but you have to be smart about it. Maybe what you have to do is take a blog post and create 20 different Tweets. But I still think the algorithm is smart enough to know that they all contain the same link. Remember, we’re fighting against artificial intelligence here, and it’s going to win. Brian Clark: Yeah, that’s an excellent point. I always hated the post over and over and over … I gave the green light over at the Copyblogger accounts a couple years ago, but it still bothered me. I’ll probably Retweet something that I’ve written or a podcast later, but I notice that the first time is always the best. Your advice is let Twitter understand that, display it in the — what’s it called — “while you were away” section. Can you disable that? I know you can click the X and make it go away, but it still comes back. Michael Stelzner: The “while you were away” is not even the same thing that I was talking about. This is a brand new feature that just shows you Tweets from a specific person that Twitter thinks you care about. Brian Clark: I got you. Michael Stelzner: Which is even better, because it’ll group them into three or four tweets from Brian Clark, for example, or from Copyblogger. It’ll show you those Tweets regardless of when you come in. It’s a little better than “while you were away,” because it’s actually one specific account or two specific accounts that it thinks you love. What it’s trying to do is the same thing Facebook is trying to do, which is to be as relevant as possible to the users. Now, on the flip side of this, it doesn’t mean you shouldn’t get creative. Create a bunch of graphics. Right now I don’t think it’s punishing if the copy is different. Why not create 20 different Tweets, each one being completely, distinctly unique from the rest, from your articles, and spread that out over time and see if that works? We’re just not doing that. Maybe create a couple infographics from it. But I would much rather have organic shares happen from the article, which is the secret algorithm buster. If the people that read your article share your stuff, that is what you want, and that is what we care about more than us just posting it multiple times a day. Then you’ve got Periscope, which is hopefully becoming Twitter Live. That’s another angle that a lot of people don’t use, but it works really well. Brian Clark: When Twitter first introduced ads, I remember trying them out and they performed really poorly and were really expensive. This was back in the day when Facebook was really inexpensive and really effective. These days, it seems to me that Twitter has come down on its pricing and the ads perform based on the objective better than I expected. Do you play with Twitter ads at all? Michael Stelzner: We don’t. We don’t advertise any of our content. If we do do ads it’s for our events. When we do advertise for our events, we find that people are not converting from Twitter. They convert a lot better from Google and Facebook. In our case, we don’t have a lot of in-house experience running Twitter ads. I have spoken to a lot of influencers in our space, and it’s frankly mixed results from a lot of people on Twitter ads right now. Brian Clark: Let’s go to Facebook. You know our shift in thinking when we famously deleted the Copyblogger Facebook page and then eventually we brought one back as a company page. We were making the shift from, “Okay, we no longer see this as an organic marketing platform.” It’s definitely still social, but some of the steps that Facebook took to throttle your access to your audience — really, that’s the way it happened. We had to shift from an organic platform to an advertising platform. We’ve all accepted that, and that’s fine. In the meantime though, people are over on Facebook being social all the time. The predictions that Facebook was going to lose its relevance don’t seem to have happened. It’s a bittersweet thing though. We as marketers can’t really reach the people over there unless we’re really smart about how we pay for it. In the early days, we called the people on Facebook that worked for us Community Managers. Then, somewhere along the way, they changed their label to Marketers. I’m trying to advocate going back to the idea of community development, because Facebook is beautiful for community development. You can do it in many different ways. You can answer questions on your Facebook page — that’s where a lot of people go when they have concerns, they post it on your wall. You can do creative things with live video to develop community, like “Ask Me Anything, with Brian Clark” about something that you’re an expert in. There’s a lot of cool nurturing and community development stuff. You can create a public or private group, which is very effective for developing smaller communities. People live and breathe on Facebook. I’ll be honest, I’m probably on there 20-30 times a day, depending on what day it is. And most people are like me. You want to be there, you just have to rethink what your purpose is. You know the old adage, people buy from those whom they know, they like and they trust. Not necessarily from those whom they see on their Facebook feed. The idea that these smaller communities are really the way to grow and accepting the fact that it’s not … You might have, like we do, almost a half a million fans and be able to reach tens of thousands at a time, but still it’s the interacting with them that I think turns many of those passive fans into active fans and ultimately into evangelists and customers. That is a rethinking. Going back to the way it once was. Brian Clark: Can we really go back though? It seems the answer to the marketers out there is push more, spam more, yell louder. That’s not what we used to do back in the day. I just had a show with Darren Rowse, and we were acting like grumpy old men about the old days of business blogging. I don’t want to come across that way, but the noise is remarkable and yet I see very few true examples of that community building effort. Michael Stelzner: Here’s the deal. Facebook is running out of available newsfeed space for their paid advertisers, so no matter what, there’s not a lot of real estate for you to be seen in the newsfeed anymore. The real question is, those people that live on Facebook, if they come to your page and they interact with you, or they are seen — because Mark Zuckerberg said he believes that video is the next mega-trend like mobile was when it first emerged, and in that video includes live video. If there’s a way that you can connect with those people and understand that that is getting newsfeed preference right now, then it’s really about attracting those right people in smaller numbers. Let’s be honest, it was really small numbers back in the day. It drove a lot more traffic. I was recently looking at some of our metrics. Our traffic has been declining on a magnitude from Facebook almost 50 percent a year over the last couple of years. Each year it’s cutting in half. It’s still a very powerful platform. On the paid side, it’s extremely effective. Let’s not underestimate the power of groups and some of these other functions. I would not abandon it. Where else are you going to go, Brian? They are the mega platform, and you want to be where your customers are. Brian Clark: I grudgingly accepted that a long time ago. Let’s talk visual. You mentioned video, and obviously Facebook has been pushing that. I’ve seen a lot of people in my feed experimenting with video and pretty much reporting back, “Yeah, this got more exposure than I would have expected from a text post or something like that.” Instagram though — related Facebook product. I have an account. I’m not a visual thinker, I don’t think. The lack of being able to put a link that they can click right then and the fact that you’re limited to that photographic or graphical representation, it’s just not my thing. I know people are over on Instagram and they find it to be marketing Mecca. Explain it from your perspective. Michael Stelzner: Here’s the deal. First, 600 million active people. That’s the first thing you got to keep in mind. Bigger than everybody else on the planet. There’s no social network that’s as big as Instagram other than Facebook. Secondly, Instagram Stories, which was released in August of 2016, is Instagram’s version of Snapchat. They have 150 million daily active users. That’s the size of all of Pinterest, just to give you some perspective. They’re only a couple of months old. In addition, Instagram allows you to do 60-second videos into your feed. It’s not just still, it’s also video. Because it’s so visual and there’s no links to any other sites, you don’t have a lot of the stuff that upsets people on Facebook, like politics, for example. It’s not there because it’s not designed to be able to allow you to link to news sites and stuff. It is actually a place that a lot of people love. Instagram Stories in particular is growing like hotcakes, Brian. What it is, is 15-second video segments — Snapchat is 10, this is 15 — and you can sew them together. It’s right at the top of Instagram. It’s getting extreme exposure and it’s very powerful for businesses. For example, if you are a verified account on Instagram, they allow you to actually swipe up and link off the website. Of course, everybody and their mother is trying to get verified on Instagram. We’re not even verified on Instagram, even though we are on Facebook and Twitter. It’s pretty powerful what Instagram has become. It’s way different than what it was. The other cool thing is you can have multiple people managing one Instagram account, Brian. We have three of us managing our Social Media Examiner Instagram account. I can go on there and I can do a story. And there’s also Instagram Live, which is really interesting. It’s a disposable … It’s only live when it’s live and when you’re done it’s gone. Just imagine the pop-up sales that you could do. “Hey, this is going to end and when this ends the sale is done.” I think the marketing possibilities for Instagram Stories and the Live is part of Stories is pretty phenomenal. We are going to be revealing some brand new research at Social Media Marketing World during my keynote about Instagram. I’m here to tell you, it is becoming a big deal. They only had about 400 million users a year ago, and now they’re at 600 million. They’re definitely on a tear. Zuckerberg knows what he’s doing. They’re massively innovating and it’s pretty exciting to see it. I think it should not be ignored. You just have to figure out your strategy. Brian Clark: Mike and I are going to explore a bit more about Instagram in a second, but first let’s talk about what really drives small business, getting paid. Typical day: you’re racing against the clock to wrap up three projects, prepping for a client meeting later in the afternoon, and knowing you need to get those invoices out and get some bookkeeping done. Fun, right? You’re the one who’s got to make sure you get paid when you’re an unemployable type. That’s why our friends at FreshBooks have created accounting software that matches up perfectly with the way your business works, unlike just about any other traditional accounting solution out there. Even better, FreshBooks has been redesigned from the ground up and custom-built to even better match the way you work. Get ready for the simplest way to be more productive, organized, and most importantly, get paid fast. The all new FreshBooks is easy to use and it’s packed full of powerful features. Create and send professional-looking invoices in less than 30 seconds. Set up online payments with just a couple of clicks and get paid up to four days faster. See when your client has seen your invoice and put an end to the guessing games. FreshBooks is offering a 30-day, unrestricted, free trial to my listeners. To claim it, just go to FreshBooks.Com/Unemployable and enter Unemployable in the “How did you hear about us?” section. Okay, let’s chat some more with Mike. I returned — or I should say, for the first time started using Facebook just to talk to people I know. If I post something and you leave a comment, that’s a good thing because you’re my friend and I know who you are. I don’t see it as a Twitter broadcast channel or anything like that. Instagram though, especially some of the things you just pointed out, is more attractive to me. Michael Stelzner: I will tell you, you can’t link off the site. This is the thing about Instagram most marketers need to understand. Brian Clark: Yeah, I know. That’s what I got to get my head around. Michael Stelzner: It’s a branding thing. Here’s what we do at Social Media Examiner. We take pictures at our conference, Social Media Marketing World. We take pictures of the speakers and then we take some of the most popular Tweets from those speakers and we make little quote graphics. Throughout the year, that’s all we do, is we promote the speakers. Then under our bio we have a link to Social Media Marketing World. So it’s a year-round promotion for our conference, that’s exclusively how we use it. In the Instagram stories, we actually break news there. When news breaks in the social realm, Erik Fisher, my head of social will go on there and he’ll talk about the news in a couple of short, 15-second segments. Our audience loves it. We just figured out a way to be in front of our audience and still … Whenever he does his segments, he mentions the conference. We figured out a way to promote one thing on that channel and provide content that’s appropriate for that channel. Then we take that stuff from that channel and we end up using that over on Twitter. Brian Clark: Yeah. What’s your handle on Instagram for the company? Brian Clark: SMExaminer. I’ll check that out. Sounds like you’re doing good work. Michael Stelzner: It’s the same handle across pretty much everything. Brian Clark: Yeah, cool. All right. That brings us to Snapchat. Just the hype. It’s the kids. Even my kids are like, “Can we get this?” I never saw the value if you’re marketing to grown-ups. I saw a lot of marketers go over there and build audiences. We got the IPO coming up. It looks like they’re not really growing anymore, from reading their prospectus. As you point out, Facebook takes everything that’s good and incorporates it over at Instagram as well as Facebook. What’s the future of Snapchat? Is this going to be one of those things where those kids should have taken the billions and run? Michael Stelzner: I don’t think so. Think about blogging. People are still saying blogging is dead, and you have a good response to that, right, Brian? I think that there are people that grew up with Snapchat, love Snapchat, and it is their primary way that they communicate privately. The difference between Snapchat and Instagram is private versus public. So many of the Snapchatters — I might have said that wrong. Instagram versus Snapchat. So many Snapchatters have an entire network of people that they’ve developed over the years and they’re their closest friends. They use it exclusively to communicate. I have an account, I’m not active on it, but I’m constantly getting messages from people. I think that you and I are probably a little too old to really … I dove into it for awhile and I just gave up on it, because once Instagram stories came out I already had an audience there and it was so much easier for me to do. I think we, as older marketers, forget that this younger generation, this is their platform. Eventually those kids are going to be like Apple kids in the olden days, when they had the Apple 2E when they grew up in school or whatever, or the first Macs. They’re sticking with it and they’re not leaving. It’s almost like a Windows versus Mac thing. I think they will be successful. I think their demographic is unique and Facebook is doing everything in their power to get everyone to see that Instagram is better. I don’t think they’re going to get crushed. I think they’re hurt right now, but I think this competition only breeds innovation. I think as long as there is competition, that’s good for all of us. Michael Stelzner: You know the difference is the API. The open API with Twitter versus the closed ecosystem with Snapchat is the key difference here. There isn’t a ecosystem of apps that Snapchat doesn’t have control over like Twitter. This is the thing, if you look at Snapchat, they claim that they’re an eyeglasses company. They changed the switch when they came out with this spectacle eyeglass thing, which allows you to record 10-second video clips on the go. I think that Snapchat has got something up their sleeve, and they’re going to probably announce it post-IPO. I think it might be virtual reality related. I wouldn’t be surprised if these spectacles actually are capable of doing VR stuff, and maybe that’s going to be one of their first salvos. I think it’s healthy. I think the fact that Snapchat, people are claiming, will be one of the largest IPOs in the history of Wall Street is intriguing. I was going to get in on the IPO, but I decided, “You know what? I’m just going to let it ride.” I think it’s going to fly and then it’s going to drop. Brian Clark: No, it will probably be huge. That doesn’t mean it’s well thought of. Again, the VR angle with Snap is obvious, and it’s interesting to me. But then again, there you go, you’ve got Oculus over at Facebook. That’s their plan. What about Twitter? If they want to be a media platform then they could go immersive with VR on that too, or augmented reality. I think everyone’s heading in that direction. But how you beat Zuckerberg, again, is the eternal question. Brian Clark: That’s an understatement of the world. You were on board with me when we were trying to push Google+. Thanks a lot, Google. Michael Stelzner: Yeah, well, believe it or not they actually came out with some Google+ updates about a few weeks ago, which shocked all of us. They own YouTube, let’s not forget about that. YouTube is a social network. I don’t know what’s going to happen. Then you’ve got Pinterest on the other horizon as well. It’s a very interesting world that we live in right now and it’s dominated really by, let’s be honest, Facebook. Brian Clark: Can’t get away from that. We jumped into things because I was anxious to get your take on these things. We usually talk about our guest’s entrepreneurial journey. I know yours really well, so maybe that’s why I jumped right into the good stuff. Let’s slow down here and talk a little bit about Social Media Marketing World. How did this gigantic conference that’s such an industry standard now that people don’t probably think about, where did this come from? How did this start? I know the story. Let’s share that with everyone else. He was the guy that inspired me. I had been doing online events, online summits for years. I just decided I was going to go full gusto. I took about a year and a half planning it. Back in 2013 we came out with our very first one. We had 1,100 people there, which is an unbelievably big number for our first year. We’re coming up on our fifth year right now. You and I have been to a lot of these events that don’t exist anymore. What I didn’t like about so many of the events was they didn’t really have a really good networking component. They’d put you in a bar and they’d play a lot of music and nobody could talk. I wanted something that networking was going to be a key part of what the event was all about. I also didn’t like the way a lot of these events had these open calls for speakers. I have really great relationships with just about everybody in our industry, so we decided we weren’t going to have any open calls, we were going to recruit 100% of our speakers. Both of those were unusual. I think that allowed us to get a really great line-up of speakers and create a really incredible experience for people. That’s the story of how we got where we are now. Brian Clark: Now, for those who are out there thinking, “1,300 people first show, that’s amazing,” Mike didn’t tell you about the audience he built before he launched a live event, which can be pretty risky, I would assume, Mike. You got to get the seats in the butts. The event planners can handle it if you can pull in the crowd. Talk a little bit — let’s take it back to Social Media Examiner and how that got started. Michael Stelzner: I don’t know if you remember this conversation I had with you about this idea that I had to start this thing. Do you remember this? Brian Clark: Oh no, I mentioned it in the intro. Michael Stelzner: I had been a blogger on my own Writing Whitepapers blog. I had written for you at Copyblogger and others like MarketingProfs. I had this crazy idea to start this social media blog back in 2009. It was going to be an experiment, frankly, and it just exploded. A lot of the websites that were out there in the social media space were not like Copyblogger. Copyblogger was all about rich “how-to” content that was completely lacking in the world of social. I brought that to the world of social and it just exploded. We ended up getting, I don’t know how many — tens of thousands of email subscribers in our first year. Now we have 560,000 email subscribers seven years into this journey. From the very beginning, we were developing this blog to draw an audience to us to promote our online conferences. We were pretty successful at the creation of the content and the selling of the online conferences. The big risk was going to be whether any of these people would be willing to pay to come to a physical conference. So that’s the back story. Brian Clark: Yeah, I do remember the conversation. At that time — this was early days. Copyblogger started in 2006, and then you’ve got Facebook and Twitter come out, and then LinkedIn. I just remember on Copyblogger most of the time we wrote about content or copy, but we also wrote about social topics. A lot of times you were the guy who was writing about social topics. They would go through the roof viral because you’re talking about the medium in which the distribution is happening. Brian Clark: I only saw it because I wasn’t the guy trying to do it. You have that perfect vision, but when it’s you doing the project and you’re taking the risk and doing all the work, you always have those moments of, “Gosh, I hope this works.” As soon as you told me about it, I knew it was going to be a home run. Michael Stelzner: That’s awesome. There were thousands of other bloggers that were blogging about social, but they were mostly just opinions. They were saying, “If you want to learn how to do this, hire me.” I just figured I’d throw a wrench right in the middle of that. Brian Clark: Yeah, you did follow that model that, not just us, others have done as well — Moz and people like that. “We’re going to tell you how to do it. We’re not going to hold anything back.” That’s the kind of content that worked. I think that’s really what solidified your reputation as someone you can trust to pay money to attend a physical event and you’re not going to feel like you got the raw end of that deal. Michael Stelzner: I think you’re right, absolutely. I still believe that there’s plenty of room for anyone to repeat this in any industry, even in the social industry. People do get to the point where they just assume people have a lock on the market, but it’s not true. Brian Clark: No, social has changed so much. There’s always entry points. Michael Stelzner: Changes every week. It’s crazy. Brian Clark: Yup. Tell us about Social Media Marketing World this year. It’s going to be next month in San Diego. I will be there happy to see you. Give us the dates and all the details. Michael Stelzner: March 22nd, 23rd, and 24th. One ticket gets you everything. All the workshops are included, all the sessions, keynotes, panels, all the recordings of everything are included. We have our opening night party on an aircraft carrier, which is kind of fun. Did you ever come on the aircraft carrier? Michael Stelzner: It’s an unusual venue. One of the things that I think your audience might love is that we have something brand new this year called our Creator Series. We have more than 40 sessions for content creators. We’ve got 10 on blogging, 10 on live video, 10 on YouTube and video production, and 10 on podcasting. We have a bunch of workshops also. If anybody wants to perfect the craft of creating content, this is something that we’ve got for creators. On top of that, we have every social platform you can imagine. Excuse me. Everything from Facebook, Snapchat, Instagram. If you are really good at Facebook but you heard about Instagram and you’re like, “Wow, I really want to master that,” or, “Snapchat, I’m not all up on that,” we’ve got the top influencers in all these niches who bring their A game to present to you. Of course, you, Brian, will be speaking inside of our blogging track. 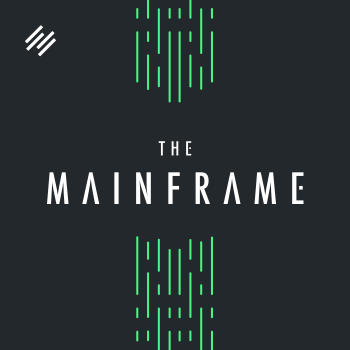 Brian Clark: Yeah, I really like the emphasis you’re putting on creation. Because you can understand every platform inside and out, but it’s what you say and it’s what you share that ultimately matters. I think a lot of people might come new to social media, especially from a business or marketing standpoint, and not have a clue that that’s really the secret sauce — in addition to understanding the ins and outs of these platforms. Michael Stelzner: Absolutely. Just to throw a couple names from the blogging track, we’ve got Michael Hyatt, Darren Rowse, Chris Brogan, you, Holly Homer — I don’t know if you know who she is. She runs Kids Activities Blog, which is like three times as big as Social Media Examiner — and a bunch of other people. We got our start here at Social Media Examiner by going to events like BlogWorld and MarketingProfs. What’s amazing is a lot of people come to these events, like your event and our event, and they make connections there that end up impacting their business down the road. We facilitate a lot of that at Social Media Marketing World, which is what makes our event so unique. We have all these tables with signs on them. If bloggers want to get to know each other they can sit at the blogging table. We have a Networking Embassy where we try to connect people together. It’s a very unique way that we do what we do. If you guys end up coming, be sure to come up to me and say hello. Brian Clark: Mike, thanks for spending some time with us today. Michael Stelzner: Thank you, Brian. Brian Clark: All right everyone, if you are trying to hammer out your social strategy for 2017 — maybe it’s Instagram, maybe you’re just going to start realizing that social is advertising — whatever the case may be, there’s going to be a panel, a keynote, or some sort of information being shared at Mike’s conference coming up in March. If you can make it to San Diego, make sure you say “hi” to me as well. No matter what you do, thanks for listening, and keep going.